Open the tins of black cherries and add the syrup to a pot on a medium heat. Add the caster sugar and stir until the caster sugar is completely dissolved then remove and allow to cool while you make the mascarpone mixture. (if you want an alcoholic version, add 2 tots of cherry liqueur now. Put a small pot of water onto the stove and bring to the boil, remove it. Remove from the pot of hot water and beat for another 2 minutes until it has cooled a little. In another bowl combine the mascarpone and vanilla essence (or if you like it a bit lighter like I do the mascarpone and beaten fresh cream and vanilla essence) Mix until smooth with no lumps. Add the egg yolk and sugar mixture to the mascarpone mixture and fold together until well combines and smooth. Dip the lady fingers one at a time in the cherry sauce and line the base of your pie dish with ladyfingers. Add a layer of the creamy mixture and half of the cherries (halve them for a complete layer) and then sprinkle over a little cinnamon. Repeat the process one more time ending with a layer of black cherries over the top. Chill in the fridge for about 4-6 hours (this can be made the day before. 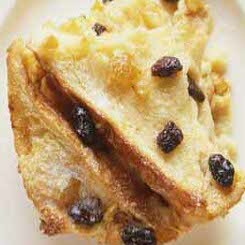 Bead and butter pudding is one of those desserts that seem to really bring a family together and get them chatting at the end of a meal. Its warm, homely, moreish and smells great. I know it’s been so hot in SA lately but serve this with a dollop of great vanilla ice cream or shipped cream and you have a winner. Butter and jam bread generously. Arrange bread triangles overlapping slightly in an ovenproof dish, if using coconut, sprinkle over the bread. 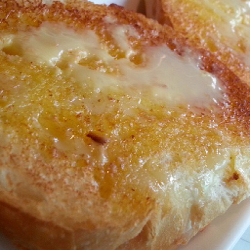 Beat eggs, add sugar and milk then pour it over the bread and leave to soak for 30 mins. Sprinkle over the currants and raisins. Bake at 160 celsius for 1 hour or until the top is browning lightly and the custard mixture is heaving underneath the bread. 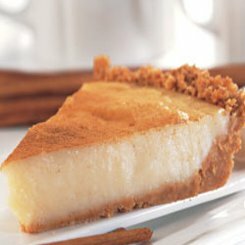 Milk tart or Melk Tert is as South African as biltong and dry wors and this is one of those recipes you are going to want to bookmark, print or share so that you never lose it. 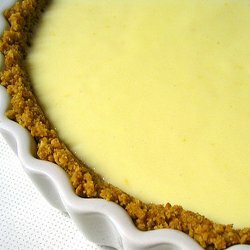 Milk tart has been one of my favorite desserts for a very long time and I have tried quite a number of Millk Tart recipes and if you have been following these recipes for a while, you will know that the easier the better for me. It’s a goodie this one, try it. On a low heat melt the butter for the pastry. In a mixing bowl, add the flour baking powder and caster sugar for the crust and give it a mix to distribute the ingredients evenly. Add the melted butter and use your fingers to mix it into the dry ingredients until you get it all sticking together in a crumbly shortbread kind of consistency with no flour left in the bowl. Now take your pie dish (about 20cm circle) and press the pastry into the base and up the sides with an even thickness. Prick it with a fork about 4 or 5 times over the base and then pop it into the oven for about 12 minutes or so until the pastry is light brown. Remove and set aside. While the pastry is browning get another mixing bowl and add the flour, maizena and eggs, whisk them together. Now take a small pot on a medium heat and add the milk, sugar and salt. Heat until the sugar has completely dissolved and you are stirring continuously. The milk should be threatening to boil at this stage with small bubbles appearing around the edge (don’t let it boil). The mixture will be thickening while you whisk and once you have finished adding all of the milk mixture, return everything to the pot over a medium to low heat and add the vanilla essence. Cook it for a few minutes stirring constantly(slowly) until the custard has thickened to a wonderful creamy texture. Fill up your base with the custard filling, give it a good dusting with cinnamon and set it aside in a cool place to set. Then pop it in the fridge for about an hour before digging in. I know it seems like a long recipe but it’s really not…. I just want you to really enjoy this one! For those of you who remember that fabulous restaurant in JHB called Gatrilles Son & Co and experienced the sheer joy of tasting their very popular lemon flan, you will be thanking me forever when you read how simple and tasty this recipe is. It’s a real South African recipe that uses Marie biscuits in it’s base. I got it from a recipe book my mother put together many years ago and the recipe appeared in a magazine, have no idea which one but from the cutting looks like YOU mag or something similar. Give this one a try, you will be very pleased indeed! It’s a 15 minute preparation from start to finsish but does need about 2 hours in the fridge before you serve. 20cm round flan dish or cake tin. First off, crush the half packet of Marie biscuits until quite fine by placing them in a packet and use a rolling pin or empty bottle to crush them up. Then melt butter and add the crushed Marie biscuits, stir them until all of the crushed biscuits are coated with butter and then press into the base and sides of the dish firmly. Pop it in the fridge while you prepare the filling. In a large bowl, whip the cream to soft peak stage and then add the condensed milk. Mix well with a metal spoon to combine the cream and condensed milk evenly. Lastly stir in the lemon juice and give it another good mix. Get you shell from the fridge and pour in the lemon mixture, return to fridge for another 2 hours before serving. 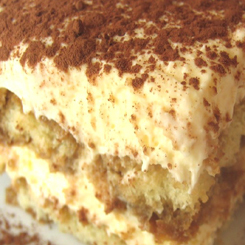 Its seriously simple and very delicious… just does not get any easier than that, my kind of recipe! Before serving you can finely grate a little lemon rind(or not) and serve with a nice dollop of whipped cream or ice cream. I have been asked a few times about using Tennis biscuits in the base and yes you can, it is just as good but the Marie biscuits make a base that is easier to serve, the tennis biscuits tend to crumble. Whip the cream and the caster sugar together until fairly stiff, then add the vanilla and mascarpone cheese and fold with a metal spoon until the mascarpone is evenly distributed. You dont want to beat it, just give it a gently fold. At this stage you would also add about 75ml or 2 to 3 tots of Frangelico if you are using alcohol. Transfer the coffee to a shallow bowl. Use a 20cm x 20cm or similar baking dish and line the bottom with boudior biscuits dipped into the coffee. Sprtead half of the mascarpone mixture over the biscuits and then repeat to create another layer. Smooth the top nicely and then pop into the fridge for about an hour to chill. Before serving, finely grate a layer of choclate over the top or sprinkle with cocoa powder. You can also grate a layer of choclate on top of the first layer of mixture for something a little decadent. If you don’t have the individual patty tins, a muffin tin works just as well. None of those silicone muffin trays, it must be a metal one. Spray well with spray and cook or butter thoroughly. that the pastry comes up the sides of the tin and set aside. dissolved, simmer for a further minute or 2 while you continue. again thoroughly and simmer stirring constantly until the custard thickens. forming and leave to cool. Heat the oven to 200 Celsius. the custard is golden brown and firm to the touch. Would you believe that those delightful little pearls are from the crushed seeds of this palm. Sago reminds me of Grandma’s old style cooking and is best served hot with some heavy cream and a little honey. Heat the milk until it is warm and add the sago and stir for 2 minutes. Add the sugar and butter, stir and cook over a low heat for 10 minutes stirring slowly and continuosly or until the mixture is fairly thick and the sago is beginning to go transparent. Remove from the heat and pour the mixture into buttered moulds or an oven proof dish, sprinkle cinnamon over the top and bake in a 170 celsius oven for 30 minutes. Remove from the oven and let the sago moulds stands for about 10 minutes. Tip the sago from the moulds onto your plate and spoon some thick cream or yoghurt over them with a spoon or 2 of honey. 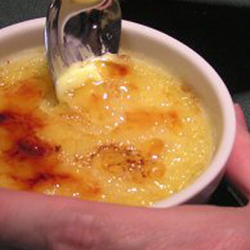 Creme brulee has got to be one of the simplest yet rewarding desserts to make. It never fails to impress and and if you are a single guy you will be way up there after this one… trust me. I dont know what it is, but using the flame is just such a guy thing, I love it. Mix the egg, yolks and half the sugar together in a bowl. Strain the boiling mixture into the egg mixture and whisk well. Fill the rammikins and place them in a roasting pan with enough water to reach half way up the sides of the rammikins and cook for 45 minutes. Remove them from the oven and allow to cool, thenplace in the fridge. Serve immediately with a few strawberries or other fruit and dust with some castor sugar. 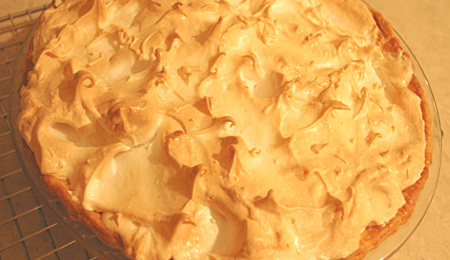 This lemon meringue pie recipe is a great old recipe from a school recipe book! Never fails and well worth it. I am all about easy recipes and lemon meringue pie made this way is both easy and delicious and will even impress your mother in law! Add the biscuit crumbs to the butter and mix well. Line the bottom of the pie dish with the biscuit crumbs and chill in the fridge. 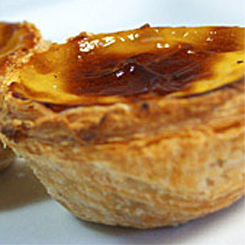 Mix the condensed milk, juice and rind of lemon and egg yolks together and pour onto the pie shell. Beat the egg whites until stiff add the castor sugar slowly and mix and when thick and full spread on top of the filling. Bake for 20-30 mins at 160C until meringue is light brown. 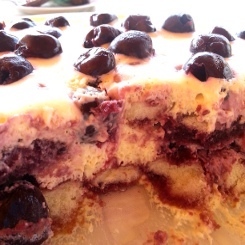 Don’t wait until its cool, leave it for a few minutes if you can and dig in, Its really great. For something really simple and special as a cold dessert try the easy lemon flan recipe. It’s from a famous Johannesburg restaurant and takes just 15 minutes to make.